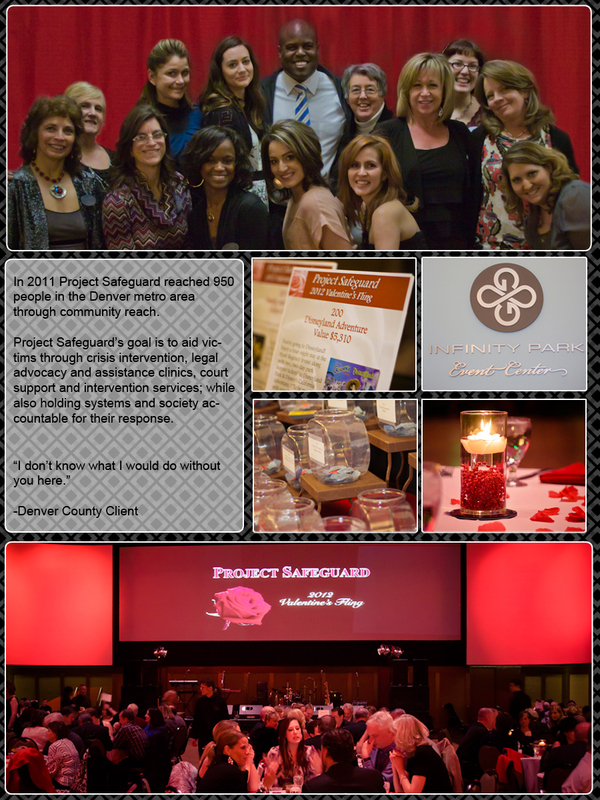 Project Safeguard’s annual gala fundraiser, the Valentine’s Fling, was a huge success in 2012! 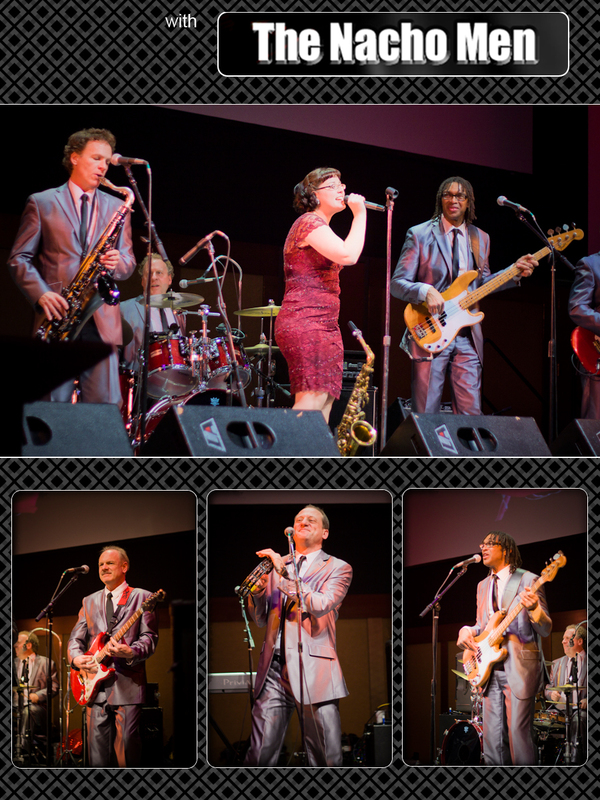 Old favorites The Nacho Men and Deb Sheppard, Psychic Medium were joined by new additions host Reggie Rivers and auctioneer Debbie Stafford at the beautiful Infinity Park Event Center for a night of food, celebration, and fun! A limo was on hand to shuttle guests from the parking lot to the venue. Guests bid on exciting packages in the Silent Auction including family adventures around Denver, nights out on the town, impressive sports memorabilia, and some of the best beer, wine and spirits all made in the Denver area. Then, guests were treated to an amazing dinner catered by Three Tomatoes. The passed hors dourves and the dinner were the talk of the evening, along with the wonderful Three Tomatoes Staff! Reggie Rivers kept to the theme of the evening by telling hilarious stories about love and life, featuring his charming family. 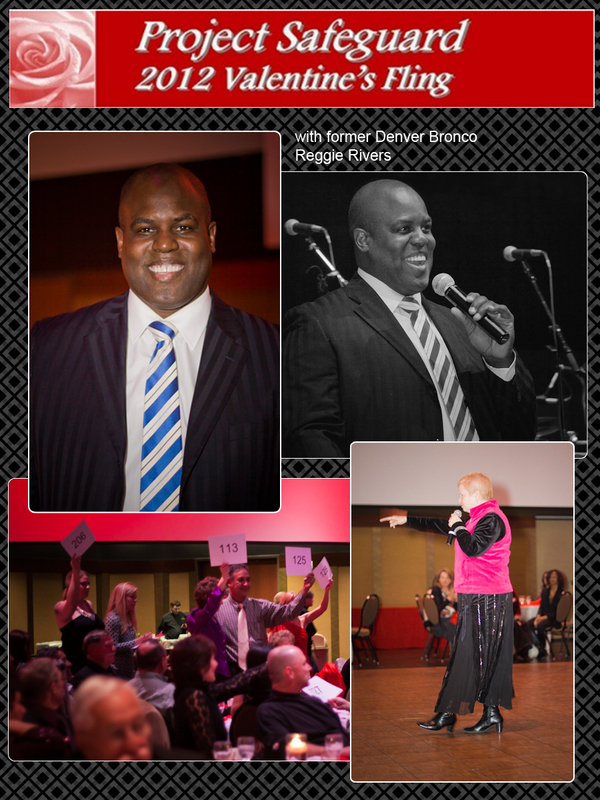 Debbie Stafford really got the crowd going during the Live Auction, and there were more than a few bidding wars on once-in-a-lifetime, priceless items like singing with The Nacho Men and brunch with Reggie Rivers at the elegant Elways – Cherry Creek. In fact, Reggie spontaneously ended a bidding war over that brunch by offering not one but two lucky guests the opportunity! As always, The Nacho Men had the crowd on their feet dancing the night away. Guests were still tapping their toes as they were shuttled back to the parking lot in style, courtesy of Sunset Limos. Thanks to the generosity of our amazing guests, we raised over $40,000 to support Project Safeguard’s programs. Stay tuned for upcoming events and opportunities to get involved. This entry was posted in Events and tagged gala fundraiser, lucky guests, nacho men, reggie rivers. Bookmark the permalink.